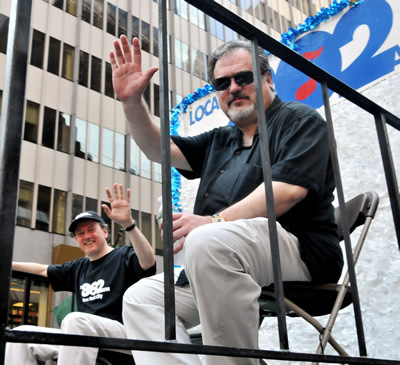 Local 802 musicians, officers, staff and supporters marched in the annual labor parade sponsored by the Central Labor Council. 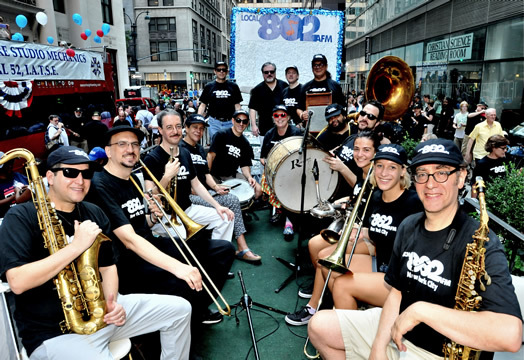 This year’s band included (clockwise from left): Scott Bourgeois (tenor sax); Rick Faulkner (trombone); Kevin Blancq (bandleader and trumpet); Mary Cherney (piccolo); Stefan Schatz (snare); Darby Williams (clave); Chris Cherney (washboard); Kenny Bentley (sousaphone); Moses Patrou (bass drum and vocals); Raina Fiore (bari sax); Hailey Brinnel (trombone); and Jeff Schiller (alto sax). 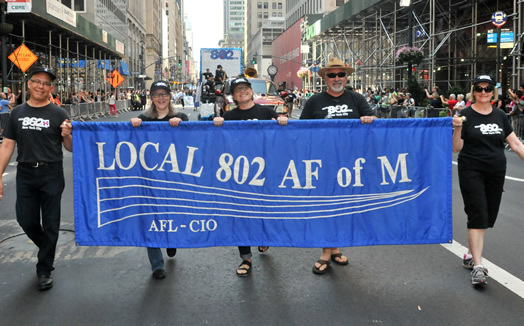 Other Local 802 musicians added spirit by sitting in, marching and playing along.